When the Federal Reserve recently raised the federal funds rate, and set off a rise in short-term interest rates, it signaled that more increases were on the way. 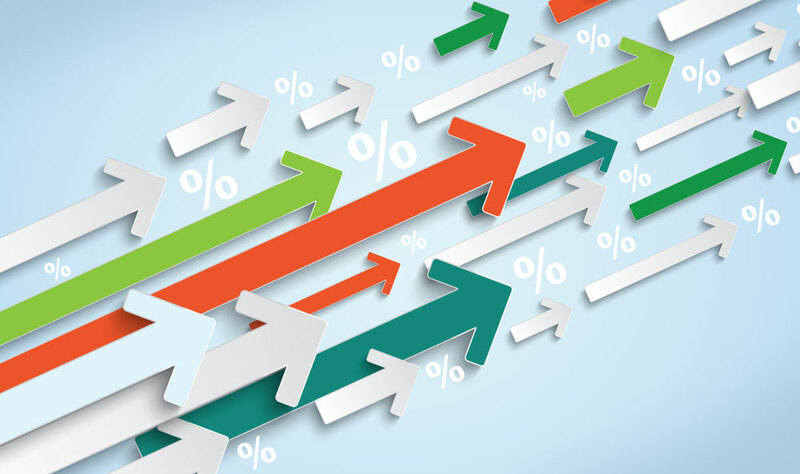 While the impact may be felt differently by an individual bank or credit union, there’s no doubt that financial institutions must prepare for the “new normal” of rising interest rates — especially when it comes to marketing. Seeking to temper signs of inflation in the economy, the Fed recently raised the federal funds rate from 1.5 to 1.75 percent. That immediately triggered an increase in the prime rate, which, according to Investopedia, “represents the credit rate that banks extend to their most credit worthy customers.” Borrowing costs for all other consumer credit is pegged against this number. The increase presents a challenge for some institutions and an opportunity for others. Banks and credit unions that are asset sensitive would benefit. These are institutions with loans and investments that reprice faster than deposits and borrowings, and thus benefit from the widened net interest margins between what they lend and what they borrow. But those with a sizable portfolio of small business customers might be challenged by the interest rate bump. Small businesses will likely curtail their loan volume: many were over-leveraged prior to the last financial crisis, and the rise in rates will make them more cautious than ever. Now more than ever, institutions need to truly understand who their customer is — their preferences, habits and needs — and balance that against the higher interest rate environment. For example, maybe now is not the time to push credit cards for new customers. But it could make sense to promote an auto loan to a family with a new teenage driver, as auto loan rates aren’t typically as sensitive to slight interest rate hikes. As mentioned previously, small businesses may be more risk-averse now, but they are less sensitive to yield. They’re more focused on service, convenience and response than they are to overall yield. Marketing messages that stress these attributes of your organization will gain more traction in a higher interest rate environment. This is especially important for community banks and credit unions, as small businesses are a large part of their customer base. According to a report from the Kansas City Federal Reserve Branch, community banks accounted for 33 percent of small business loans—much larger than their share of deposits (19 percent) or their share of assets (15 percent). To prove that you truly understand your customer, and have the ability to customize your marketing messages to them, you’ll need to invest in the right technology. A platform that allows you to anticipate your customers’ needs and appear as a trusted advisor rather than a salesperson will position your institution as a valuable resource for them long-term. Whether your sales team is looking to track where prospects are in the pipeline, when the marketing team should trigger automated messages, or when a frontline employee needs quick access to customer information for the person who just walked into the branch, 360 View offers all the essential tools to maximize your team’s performance. Engaged customers can help you weather interest rate highs and lows. Banks and credit unions need to be ready with the right mix of data-driven customer service and sales strategies, powered by a technology platform that allows them to meet customer needs, empower their staff and grow their business. Find out more about 360 View through our free Growth Assessment.